The time has come to add an airline-branded credit card to your wallet. Maybe you’re flying more, so you want to be rewarded with miles for future free flights, not pay to check a bag or enjoy priority boarding. You may even have dreams of achieving an airline’s elite status, which unlocks even more perks. What airline do you fly or desire to fly the most? What’s the card’s annual fee? How many sign-up bonus points can you earn? How far can those bonus miles take you when they’re redeemed? How many miles per $1 spent do you earn for travel, dining, supermarkets and gas? How many ways can you redeem your miles? Can you redeem them on other airlines? Does the card help you earn elite status? What airline-related benefits does it come with? What other perks are included? Are there caps on the miles you earn and do they expire? We’ll take a look at five airline credit cards and answer all these questions for you. We’ll also look at two travel-branded credit cards that may give you more points in the top shopping categories, along with more ways to redeem them. Check out our complete list of the Best Airline Credit Cards. Fort Worth, Texas-based American Airlines operates nearly 6,700 flights a day to nearly 350 cities in more than 50 countries. And you can go even further on the oneworld alliance, to which American Airlines belongs, since member airlines fly nearly 13,000 flights a day to 1,012 destinations in 158 countries. So if you’re flying this airline on the regular, this card offers you the perfect mix: a good number of sign-up bonus miles for a very low spend, a way to earn Elite Qualifying Dollars (EQDs) to maintain that all-important top AAdvantage status, priority benefits designed to make your travel easier and some good travel and purchase protection perks — all for a reasonable $95 annual fee. Most credit cards with sign-up bonuses require you to spend a fixed amount of money on them within a certain time frame (typically three months) before those miles are added to your account. With this card, you earn a Limited Time Offer: Earn 60,000 bonus miles after making your first purchase in the first 90 days from account opening and paying the annual fee A big plus with this card is once you buy your first item — something as cheap as a can of soda — and pay your annual fee, those points are yours. That’s enough to get you a round-trip business class ticket to Medellin, Colombia, known as the City of Eternal Spring. It is a hot tourist destination, according to Condé Nast Traveler magazine. Earn 2X AAdvantage® miles on eligible American Airlines purchases and earn 1X AAdvantage® miles on all other purchases. Redeem those miles on American flights or for travel with the 13 carriers that make up the oneworld alliance. You can also use your miles to snag a business or first-class seat, pay for an Admirals Club lounge membership, rent a car, book a hotel room or purchase vacation packages, gift cards, magazines or newspapers. This card lets you earn $3,000 EQDs — based on your ticket price — after you spend at least $25,000 on the card every calendar year. Those EQDs help you build and maintain your elite status on American Airlines. Your miles won’t expire as long as there’s activity on the card at least once every 18 months. And there are no blackout dates when redeeming AAdvantage miles for travel. There’s also a $100 American Airlines flight discount after spending $30,000 or more on the card during your card membership year and if your account stays open for at least 45 days after your anniversary. With record numbers of travelers flying these days, you want your airport experience to be as stress-free as possible, and this card can help. It comes with priority boarding, a free checked bag and a 25% discount on food and beverages on American Airlines-operated flights for you and up to four companions on the same reservation. Get 10% of your AAdvantage miles back every time you redeem them, up to 10,000 per calendar year. And if there are problems while you’re traveling, this card can help, thanks to benefits such as a personal concierge and trip interruption/cancellation coverage. The card also comes with auto rental collision damage waiver, extended warranty, price protection, purchase security and return protection benefits. Terms apply. While you do get higher miles per $1 spent for American Airlines-related spending, it’s lower for broader travel, dining, groceries and gas spending categories when compared to other travel-branded credit cards. And it doesn’t come with free access to American Airlines’ Admirals Club airport lounges. But there’s enough here with the AAdvantage® Aviator® Red World Elite Mastercard® to make it a contender. Check out our complete review of the AAdvantage® Aviator® Red World Elite Mastercard®. Atlanta-based Delta Air Lines flies 15,000 flights a day to 324 destinations in 57 countries on six continents. And if you throw in the carrier’s membership in the 20-member SkyTeam alliance, that access grows to nearly 17,000 flights a day to 1,074 destinations and 177 countries. If you live in the South, it’s highly likely you’re a Delta flyer, although the airline also boasts strong service out of its Atlanta, Detroit, New York City, Los Angeles, Minneapolis/St. Paul, Salt Lake City and Seattle hubs, making this card a compelling option. The card’s welcome offer is 30,000 bonus miles after you use your new Card to make $1,000 in purchases within your first 3 months and a $50 Statement Credit after you make a Delta purchase with your new Card within your first 3 months. That’s enough miles to get you from Baltimore to Honolulu to sip mai tais on Waikiki Beach. Cardmembers earn 2 miles for every dollar spent on eligible purchases made directly with Delta and 1 mile for every eligible dollar spent on purchases. There are no blackout dates on Delta-operated flights and miles don’t expire. In case your SkyMiles elite status hasn’t kicked in, the card comes with priority boarding, a free checked bag on Delta flights and a 20% discount as a statement credit on eligible Delta in-flight purchases such as pre-purchased meals, food, alcoholic beverages and audio headsets. Unfortunately for your traveling companion, they aren’t eligible for those same perks. While you don’t get free access to the Delta Sky Club airport lounge, you and up to two traveling companions can get in for $29 each, half the price of a day pass. But as of Jan. 1, 2019, you’ll have to be flying on a Delta flight on the day of travel to get into the club. If it’s perks you want, the Gold Delta SkyMiles® Credit Card from American Express has them, including roadside assistance, rental car loss and damage insurance, travel accident insurance, extended warranty, purchase protection and return protection. There’s also the Global Assist Hotline, which offers you 24/7 access to medical, legal, financial or other emergency and assistance services when you’re away from home. Terms apply. If elite status on Delta is important to you — and why not? — the Gold Delta SkyMiles® Credit Card from American Express doesn’t have a way for you to earn bonus miles to help you get there, meaning your status is based on how many miles you fly. But the Medallion Qualification Dollars (MQDs) you need to hit platinum, gold or silver medallion status during your qualification year are waived if you spend $25,000 or more on the card within a calendar year. Again, this card is best if you’re using it to pay for Delta flights since the miles per $1 spent for non-airline travel, dining, gas and supermarkets are lower than travel-branded ones. But if Delta is your carrier of choice, you should consider the Gold Delta SkyMiles® Credit Card from American Express as your airline credit card. Check out our complete review of the Gold Delta SkyMiles® Credit Card from American Express. The card lures you in with the chance to Earn 40,000 Bonus Points after you spend $1,000 on purchases in the first 90 days. You can use those TrueBlue loyalty program bonus points to fly from New York to Los Angeles round trip. You also earn 6X points on JetBlue purchases, 2X at restaurants & grocery stores, 1X on all other purchases. The cardmember and up to three travel companions on the same reservation who buy the airline’s lowest Blue fares — which normally come with a $30 checked luggage fee — get free checked bags. And you get 50% off in-flight food and drink purchases when you use the card. JetBlue only has one category for elite status — TrueBlue Mosaic. If you want that status, you must either fly 30 segments plus 12,000 base flight points or earn 15,000 base flight points within a calendar year. You can also qualify if you spend $50,000 or more a year on the JetBlue Plus Card. Whenever you redeem your TrueBlue points for a flight, you’ll get 10% of them back. You’ll also get 5,000 bonus points added to your TrueBlue account on your card account anniversary. Each year you buy a JetBlue Vacations package costing at least $100, you’ll get a $100 statement credit on the card. If you travel outside the country, you’ll pay a 0% foreign exchange fee for items purchased abroad. The card has a $99 annual fee. While you earn higher points for JetBlue purchases, groceries and gas, everything else — including non-airline-related travel — is at the lowest points level. One caveat: You do earn extra points per $1 spent when you use the card to do your in-flight shopping at Amazon.com. If you want to use your TrueBlue points for a trip to Italy to visit the Colosseum in Rome, it’s not going to happen, since you can only redeem TrueBlue points for flights on JetBlue or Hawaiian Airlines — and neither one flies to Italy. The card doesn’t offer priority check-in or boarding. While the perks that come with TrueBlue Mosaic status are nice, you may not be able to meet the $50,000-a-year spend to get it. You can’t use the 50% in-flight discount on pillows, earphones or upgraded seats or cabins, either. The information related to the JetBlue Plus Card has been collected by CompareCards and has not been reviewed or provided by the issuer of this card prior to publication. Check out our complete review of the JetBlue Plus Card. If you’re a hard-core fan of the Dallas-based carrier, this card could be attractive. But to be blunt, the benefits that come with it are not as good as other airline-branded cards as it doesn’t offer priority boarding or belong to any airline alliance group. Plus, all Southwest passengers are allowed two free checked bags regardless of whether you’re a cardholder. But the card does come with a major perk — the chance to earn Southwest’s popular Companion Pass. To get one, you either have to fly 100 qualifying one-way flights or earn 110,000 qualifying points in a calendar year. Once you have it, you can bring a companion along for free on every flight you buy or redeem with Rapid Rewards during a calendar year, which is a nice perk if you fly enough to get it or strategize on earning those points with sign-up bonus miles with your spouse or partner. Once you’re approved for the card, you Earn 40,000 points after you spend $1,000 on purchases in the first 3 months. If you live in Chicago, that’s enough miles to fly you out of the cold to warm, sunny Aruba. Earn 2 points per $1 spent on Southwest® purchases and Rapid Rewards® Hotel and Car Rental Partner purchases. 1 point per $1 spent on all other purchases. The card doesn’t come with perks such as priority check-in and boarding. But the Rapid Rewards loyalty points you earn help you get elite status on the airline. You get A-List status by either flying 25 one-way trips or earn 35,000 tier qualifying points in a calendar year. You get A-List Preferred after 50 one-way trips or 70,000 tier qualifying points. A-List gives you priority check-in and dedicated security lanes (where available), along with priority boarding, an additional 25% bonus points, a dedicated customer service line and free same-day standby on flights. A-List Preferred members get all the above, plus 100% bonus points and free in-flight Wi-Fi. But the priority boarding is only for the A-List member, and you can’t get this perk with the card. You can earn 1,500 tier qualifying points (TPQs) each time you spend $10,000 on the card, with a spending cap of $100,000 a year. Those TPQs count toward A-List status on Southwest Airlines. You also earn 6,000 bonus points on your anniversary. One big benefit for all Southwest passengers are the two free checked bags you get on every flight. When booking reward flights, there aren’t any blackout dates or seat restrictions. You earn unlimited points that don’t expire as long as your card account is open, and there are no limits to how many points you can earn. The card comes with perks such as lost luggage reimbursement, baggage delay insurance, extended warranty and purchase protection. If you’re good flying on Southwest’s route network of more than 100 destinations in the U.S., Mexico, Central America and the Caribbean, then you have plenty of options. If you want to use your points to book an international flight, you can do it on Southwest’s More Rewards website. But since you only get about 1 cent per point for bookings on that site, you’re much better off using them on Southwest flights. While you do earn extra points per $1 spent on Southwest-related travel and Rapid Rewards hotel and rental car partners, you don’t earn them in popular categories such as dining, groceries, gas or broader travel. The main question is if the card’s benefits are worth the $99 annual fee. 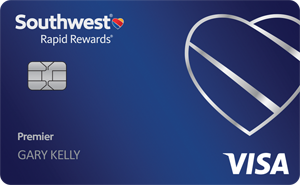 Check out our review of the Southwest Rapid Rewards® Premier Credit Card. United Airlines operates around 4,600 flights a day to 354 airports across five continents. You can go even farther thanks to the carrier’s membership in the Star Alliance, which flies more than 18,000 flights a day to 1,317 cities in 193 countries on 27 other airlines. On June 1, 2018, United unveiled an expected — and long overdue — overhaul of this credit card. The airline boosted miles per $1 spent in more categories, added an in-flight discount on purchases and now covers the tab on your choice of trusted traveler programs. The card’s annual fee is $0 Intro for First Year, then $95. New cardmembers receive 40,000 bonus miles after you spend $2,000 on purchases in the first 3 months your account is open. Earn 2 miles per $1 spent at restaurants, on hotel stays and on purchases from United. 1 mile per $1 spent on all other purchases. The extra miles you can earn on the card for restaurants, hotel and United purchases is among the best in the airline credit card category. Use those miles to travel on United or Star Alliance carriers. Miles can also be redeemed for hotels, car rentals, cruises, merchandise, gift cards, and exclusive experiences and events. The cardmember and a companion on the same reservation get one free checked bag on United-operated flights. There’s no limit on how many people you can bring for priority boarding as long as they’re on your same reservation. The card also comes with two free United Club passes every year, as long as your account is open. Your miles don’t expire as long as your card account is active and there’s no limit to the number of miles you can earn. The card’s perks include a 25% statement credit when you buy in-flight food, beverages and Wi-Fi, and a credit of up to $100 every four years to cover the enrollment fee for Global Entry or TSA Precheck. You also get perks such as Visa Signature® Concierge, auto rental collision damage waiver, baggage delay insurance, lost luggage and trip delay reimbursement, and purchase and extended warranty protection. You’re not able to earn bonus points that help you earn MileagePlus® elite status, however, as those can only be earned by time in the air. Once you use your two complimentary United Club airport lounge passes, you’ll have to pay $59 each time for a day pass. You can only get one free checked bag for one traveling companion, which is less than what’s offered by other airlines. You only get the extra miles per $1 spent on the card when you book rooms directly through hotels; you won’t get them if you book with a third-party company such as Expedia. Despite this, the upgrades to the United℠ Explorer Card make it a worthy contender. Check out our complete review of the United℠ Explorer Card. You may want a way to earn points that can be used on flights that don’t lock you into a specific airline. You may also want more robust points in the top spending categories and more ways to redeem them. But more general travel cards don’t offer airline-related perks such as free checked bags, priority boarding, free or discount airport lounge access, in-flight discounts and a way to earn elite status. Below are three options that could be a better fit for your travel needs. If you want a card that offers straight cashback rewards that you can redeem any way you want, including for travel, this card is a good option. It starts with a generous One-time bonus of 50,000 miles once you spend $3,000 on purchases within 3 months from account opening, equal to $500 in travel. The rewards rate is a flat 2 Miles per dollar on every purchase, every day. You can also earn 10 miles per $1 spent when you use the card to book rooms at Hotels.com/Venture. The card has an annual fee of $0 intro for first year; $95 after that. Another great thing about the Capital One® Venture® Rewards Credit Card is its foreign transaction fee: None. The miles you earn with this card can be used to pay for travel booked on the website or app of any airline, hotel, rental car company or more using the Purchase Eraser feature, which gives you an account credit for what you spend. You can also book travel with your miles at capitalone.com or redeem them for a check, an account credit or gift cards. Perks that come with the Capital One® Venture® Rewards Credit Card include travel accident insurance, auto rental collision damage waiver and an extended warranty for purchases. 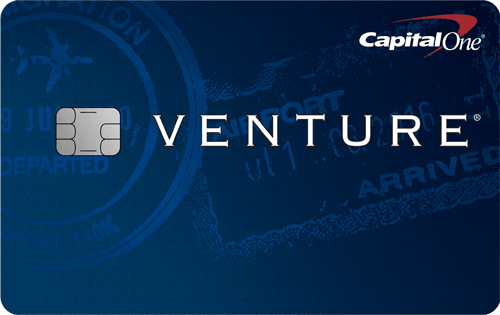 Check out our review of the Capital One® Venture® Rewards Credit Card. The Chase Sapphire Preferred® Card allows new cardmembers to Earn 60,000 bonus points after you spend $4,000 on purchases in the first 3 months from account opening. Those points convert to $750 that can be spent on travel booked through the Chase Ultimate Rewards® portal. Earn 2X points on travel and dining at restaurants & 1 point per dollar spent on all other purchases worldwide. This is better than the airline cards in the dining and broader travel categories. If you redeem your points for travel at Chase Ultimate Rewards®, you’ll get 25% more value every time. You can book flights on any airline with your Chase points, with no blackout dates. The card also lets you transfer your points 1:1 to nine airline and three hotel loyalty programs, so you’re not tied to one carrier. The card comes with perks such as trip cancellation/interruption insurance, auto rental collision damage waiver, baggage delay insurance, trip delay reimbursement, and travel and emergency assistance services. You also get purchase protection and extended warranty protection. You won’t get airline benefits such as lounge access, a free checked bag or priority check-in and boarding with this card, nor can you earn elite status. The Chase Sapphire Preferred® Card has a $0 foreign transaction fee. 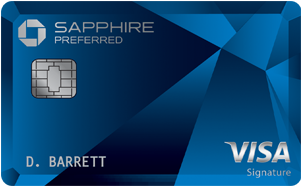 Check out our complete review of the Chase Sapphire Preferred® Card. (115) Over the Past 60 Days! This card comes with some pretty sweet perks and benefit — all with a $0 annual fee. The welcome offer for new cardmembers allows them to Earn 30K bonus points when you spend $3,000 in purchases in the first 3 months. Worth $300, you can redeem that at Wells Fargo’s Go Far ® Rewards program for travel, cash back, gift cards, online auctions, digital downloads, charity donations or sharing with friends and family. Earn 3X points for eating out and ordering in, 3X points for gas stations, rideshares and transit, and 3X points for travel including flights, hotels, homestays and car rentals. Earn 1X points on other purchases. This is not only better than what most of the airline cards cover outside of flights, but the categories are much broader. There aren’t any limits on the points you can earn on the card and your points don’t expire as long as your account remains open. There are no foreign exchange fees. 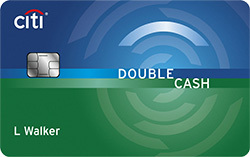 Perks that come with the card include emergency medical, legal, personal and travel help, roadside assistance, rental car insurance, lost or damaged baggage insurance, travel accident insurance, retail protection when items are damaged or stolen, an extended warranty, return protection and cell phone protection for repair or replacement. Terms apply. There’s not a lot to dislike with this card. If you want to redeem your points for cash, you must have a Wells Fargo bank account. You can’t use your points in American Express’ Membership Rewards® program, and you can’t transfer them to airline or hotel loyalty programs. 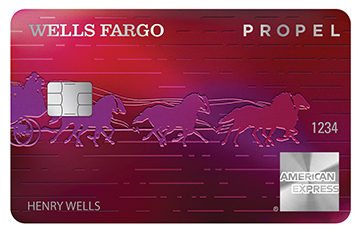 Check out our complete review of the Wells Fargo Propel American Express® Card. Rewards 2 Miles per dollar on every purchase, every day 2X points on travel and dining at restaurants & 1 point per dollar spent on all other purchases worldwide Earn 3X points for eating out and ordering in, 3X points for gas stations, rideshares and transit, and 3X points for travel including flights, hotels, homestays and car rentals. Earn 1X points on other purchases.